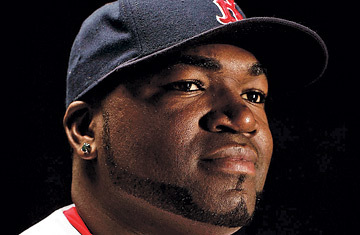 David Ortiz #34 of the Boston Red Sox poses for a portrait during the Boston Red Sox photo day at the Red Sox spring training complex on February 24, 2007 in Fort Myers, Florida. Actually, I get more calm. In those situations, I don't want to get too excited. When you get too excited, you kind of overtry to do too much. I go through the play like I am going to have a hot tea in the morning. I quiet everything down. I try to be as quiet as I can at the plate, but still aggressive.